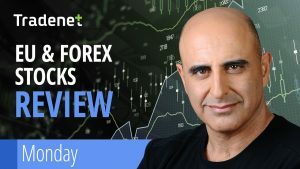 The dollar traded mostly sideways with no major news on the agenda as investors now look at the Trump administration woes, the Brexit ongoing saga and the future of US China trade war as the important market moving news. FX markets traded a narrow range session with no leadership as well as global equity markets that closed the trading week on a flat note following four days of rally in US and EU markets. Metals traded sideways to close the trading week up 4$ on Gold prices and flat on Silver prices. OIL closed Friday with a major pullback yet managed a 3$ climb in a rally that lasted 6 consecutive green days and closed at 51.63$ per barrel, up 8% for the week.